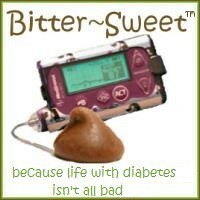 Diabetes Blog Week kicks off today! If you are participating, don’t forget to link your Find a Friend post on this list. (Please enter your Blog Name and the URL for your Find a Friend post.) If you haven’t signed up to participate but would like to, it’s not too late! Just fill out the sign up form on this post. I know the topic says Find A Friend - as in ONE friend - but I guess I can’t follow the directions for a topic that I came up with myself!! LOL The easiest way for me to introduce you to a new friend is to send you over to the Participants List where you can click around on the 192 (as of right now) blogs listed and find some new friends!! My Bloody Beautiful Life - I was fortunate enough to meet Jamie last month at a JDRF T1 Adult Outreach meeting. She is a teenager with Type 1, and she handles it far better than I did when I was a teen! I wish that I had half of the grace and confidence in my teenage years that she has. Her blog is only about a month old, so go on over and welcome her to the DBlog Community! No More Shots for Shannon - I “met” Shannon a couple of months ago and I have really enjoyed getting to know her better. She does an impressive job of sharing the details of life with diabetes and spreading awareness and information. She’s also kicking her JDRF involvement up to the next level by heading up their new Adult Outreach committee. I can’t wait to see this new support group form! And, I also want to mention a not-so-new friend that you absolutely shouldn’t miss!! 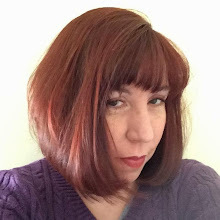 Sweet Success: My life with Type 2 Diabetes - Kate is one of the many fantastic friends I have made in the DBlog Community, and is one of those people that I feel like I really know even if we haven’t met in person (yet . . . . I hope). Kate has Type 2 diabetes, and reading her blog is a great reminder that PWDs are a lot alike no matter which type they have. Kate always inspires me to work harder (although I don’t think I’ve ever thanked her for that). I’ve been following her search for a good support group with a lot of interest too. I hope she has success in either finding one or creating one that is everything she’s looking for. Seriously, I could sit here all day and list wonderful blogs that you shouldn’t miss. But I have a lot of Diabetes Blog Weeks posts to read so I’d better get started!! Have you made any new DBlog Friends lately? Now I don't feel so guilty picking more than one since you did it too! LOL, I saw your post this morning and thought "Oh good, because I'm putting more than one blog too!!" Me four! I thought this might have been the hardest topic you chose for this year! LOL, I picked three too! I couldn't just pick one, so I gave shout outs to three people I will be meeting in person for the first time in the next few weeks. Wow Karen, thank you!! I'm quite humbled and honored to be mentioned on your blog. . I'm so excited to be participating again this year. Dblog week last year is how I finally came to find the DOC and so many great blogs/people. Thanks for doing all this work for us. Awesome blog choices, I checked them all out!